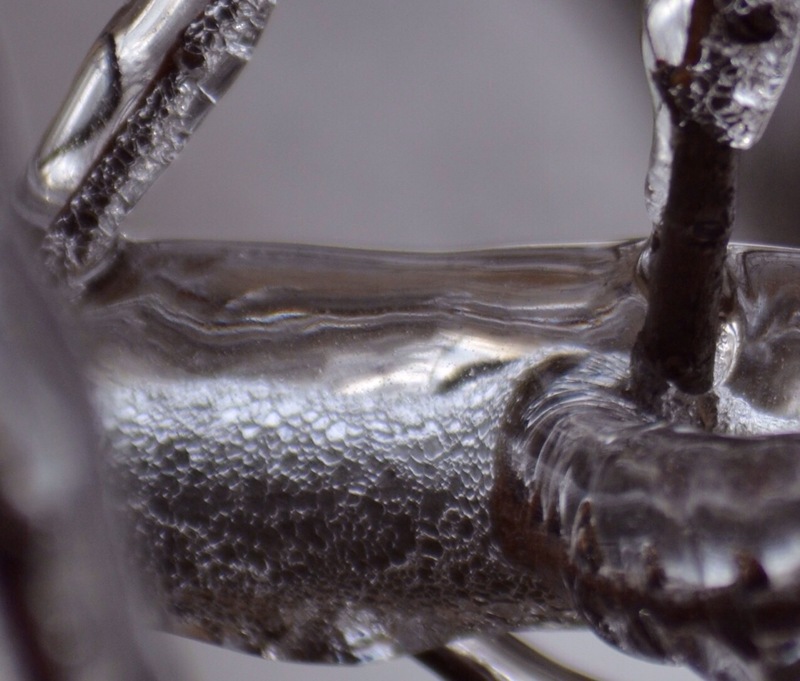 I have always been fascinated by ice, the little fractures and bubbles inside of it, and its very nature. From the galaxies of stars in the middle of a common ice-cube, to the way a sheet of ice will form on a sign and slowly slide downwards. 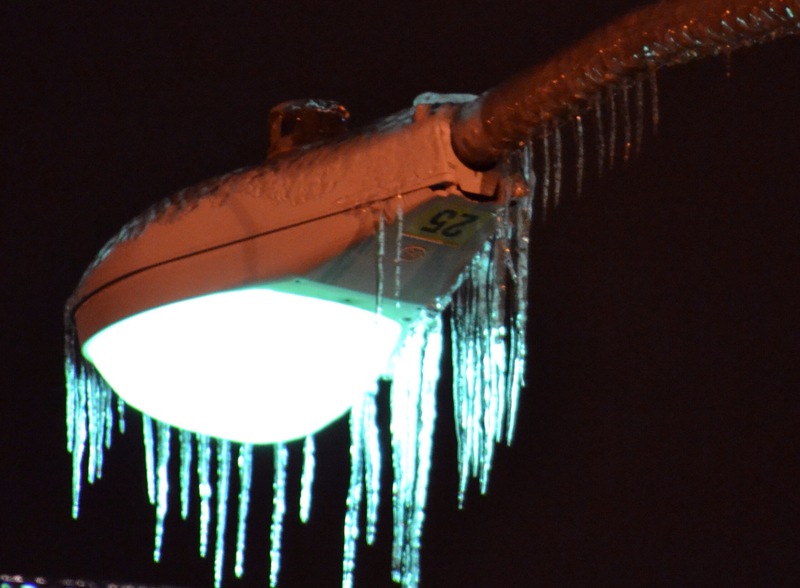 Unlike snow, ice has no color, save for the light that reflects through it. Like amber or certain types of crystal formations, it envelopes what it forms around and locks it in time, that is until it melts. 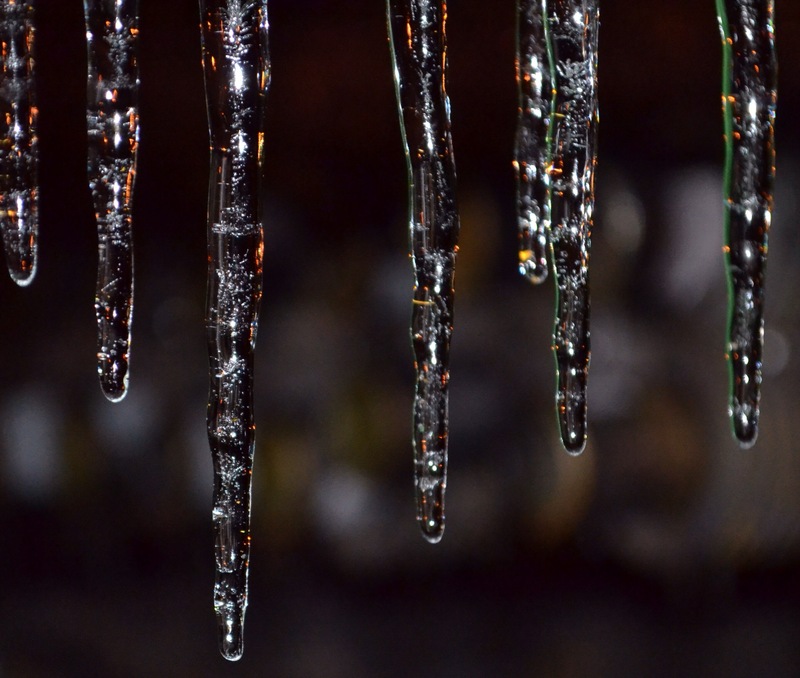 See the greenish tint in the icicles on the right? Its from a street lamp, as are the dots of orange glow in the others. But do you see the tiny little bubbles trapped within? Oh the lovely level of detail this new camera finds. That street light wasn’t working properly, its light faint and a sickly hue. Between that and the icicles on it, made it another subject for my lens. Perhaps the most fascinating image I took turned this up, after cropping. Are those ‘scales’ of ice over that branch? I’ve a few more shots I’ll post later that demonstrates the variable focus a dSLR allows that most point&shoot digits can’t match. These were taken in Tulsa, Oklahoma, on December 22-23, 2013.